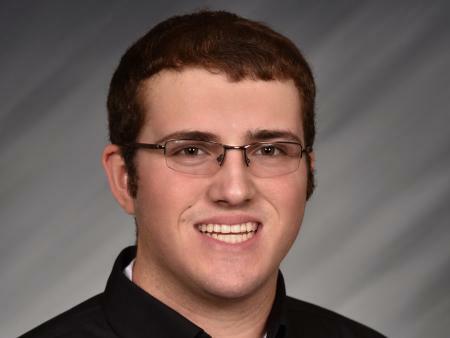 Cody McClain, a senior in agriscience education from Nevada, Ohio, has been selected for the Upper Division Agricultural Education Scholarship from the National Association of Agricultural Educators (NAAE). McClain graduated in 2016 from the Ohio State University Agricultural Technical Institute in Wooster with an Associate of Science degree in agriscience education. NAAE awards the $1,500 scholarships to twenty students across the United States. The purpose of the scholarship is to offset expenses during the recipients’ student teaching experience and selection was based on academic performance, as well as on leadership and service activities. McClain will be student teaching with National Trail High School in New Paris, Ohio during Spring Semester 2019. The agriscience education major at Ohio State prepares its students to acquire a license to teach agricultural science in secondary high schools in Ohio and across the country, with extensive training in agricultural science, educational psychology, instructional methods, and youth development. The first two years of the program can be completed on the Wooster Campus. For more information about the agriscience education Associate of Science degree, visit https://ati.osu.edu/agricultural-communication-agriscience-education.